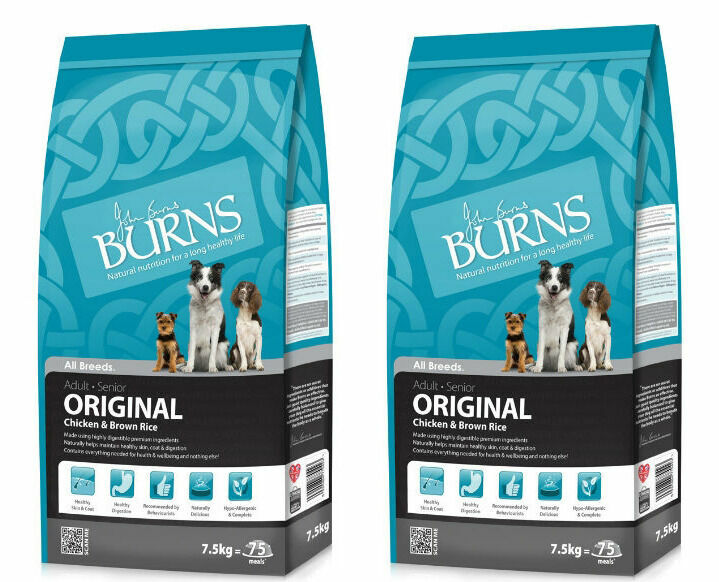 A great, all-round dog food, Burns Chicken & Brown Rice has been made using a formula that is perfect for dogs with sensitive stomachs and sensitive skin.  Each and every one of their meals has been put together using hypoallergenic recipes that are 100% free from wheat, gluten, beef, soya and dairy. 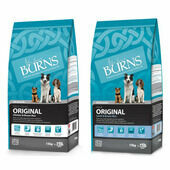 To ensure that your dog will only ever get the best possible nutrition from Burns Adult Dog Food, each meal has been made using only the very best ingredients available and there is a zero tolerance policy on artificial additives. 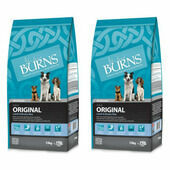 Because of the quality of the ingredients used, this dog food is incredibly easy to digest and therefore less of it is required to provide dogs with their daily nutrition. 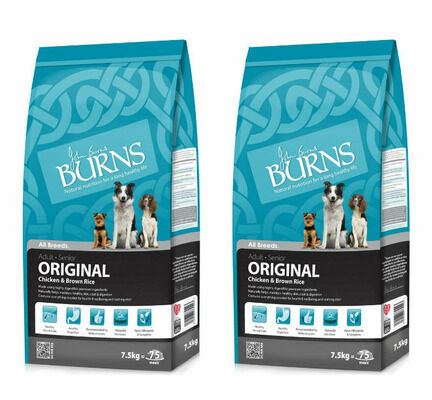 This means that a single bag of Burns Chicken & Brown Rice Adult Dog Food will last much longer than other dry dog foods, which will save you a great deal of money in the long run.